Through art, we can connect and learn from indigenous culture while supporting a sustainable fair-trade economy. 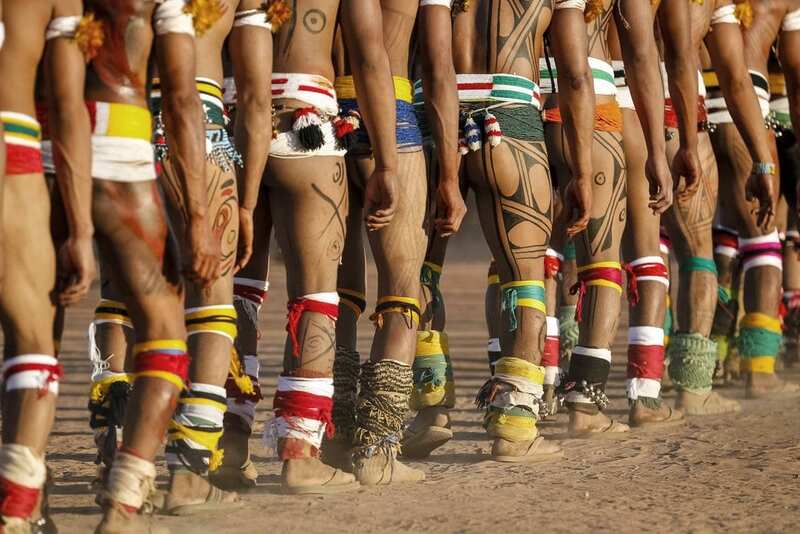 The indigenous arts of the Amazon are varied, with each tribe having their own distinct form of expression. Artistic creation is inherent in all that indigenous people do, be it the painting of their bodies to the construction of their homes. Our vision is to give the many indigenous arts a platform for which they can be valued and fully understood. We believe it is vital for indigenous people to continue their many forms of artistic expression as it is these traditions which help maintain and strengthen their cultural identity. Indigenous peoples are living through a time of change, with more external influences than ever before. During this transition it is important there is outside appreciation for their beautiful arts as without, it is possible that these ancient practices will be forgotten as the skills and knowledge are not passed down to the young generation. By offering and supporting sustainable fair-trade with all ages in the village, we can ensure this artistic knowledge and culture will continue.